At the start of the period two of the students approached me and explained that because our class was about African Americans and issues of race, they thought it was appropriate to talk about Freddie Gray and the broader politics behind his death. Their request was polite and earnest. Without knowing how I would relate the eighteenth-century Atlantic world to the twenty-first century urban United States in a way that was directly relevant to the day’s topics I said yes. I allowed the two students to stand before the class and I sat amongst the other class participants. The student leaders described their participation in a march the previous night and explained the complex mix of frustration, motivation, solidarity, and inspiration that fed into and arose out of their activism. After recounting their experiences at the protest and expressing their thoughts about the growing public revelations of police violence, the two students tried to link current anti-black brutality directly back to the issues of identity and representation relative to Wheatley and Equiano. Instead of following this path back to the syllabus, I allowed the entire class to engage in a discussion about current events. From my perspective, the discussion was extremely engaging but not well organized. I decided that rather than try awkwardly to reign in the themes of conversation, I would try to highlight comments that somehow related to the issues of historical continuity and change. The ensuing conversation was wide ranging. Students made reference to continued racism and inequality. They discussed contemporary issues endemic to “the Black community.” They talked about racial profiling and issues of presentation and representation. They expressed frustration with efforts to combat racism and reduce poverty but they also argued for the necessity of action. The conversation wandered and meandered and I did not successfully give any easily definable direction to the discussion. . . . 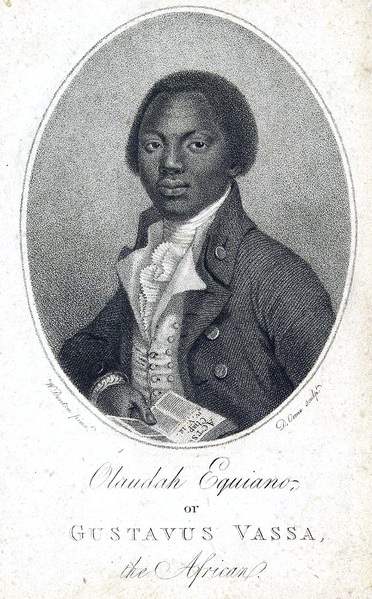 I left class frustrated that I was not able to fashion a structured discussion and feeling as though I was failing in getting students to understand Wheatley and Equiano from their eighteenth-century experiences. In the following class I was pleasantly surprised. I asked students to summarize the things they took from the previous class and this provided an excellent springboard to talk about forms of late eighteenth-century black abolitionism. I was reminded of how difficult it is to develop a critical historical empathy, imagining how past times, places, and even ideas could be seemingly similar but actually quite different from our own. By allowing the students to have a discussion about the present, they arrived to the following session by making their own non-teleological connections between the past and the present. Students explained that Wheatley and Equiano were writing against structures of power based upon racial subordination. They were able to articulate obvious differences between eighteenth-century and twenty-first century America, while being struck by the continuing problems of racial marginalization and oppression. 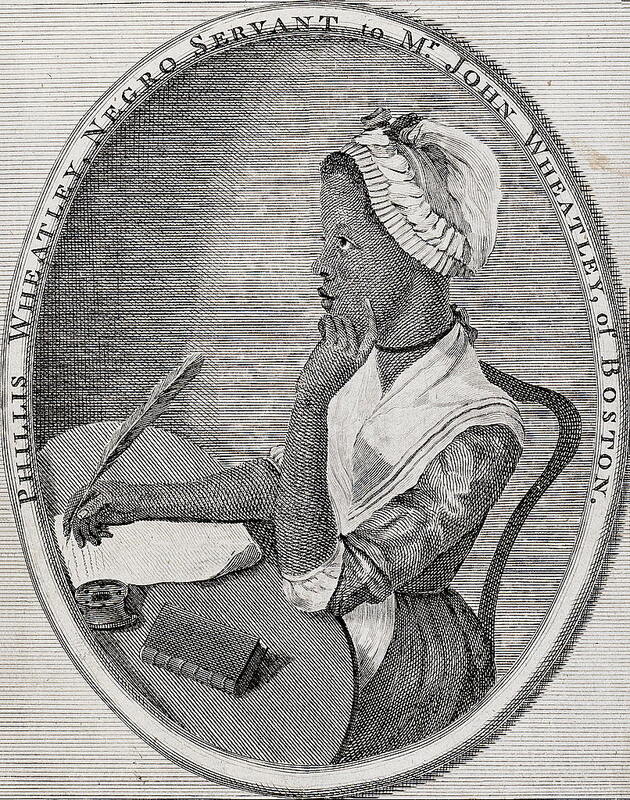 In our conversation about different approaches to abolition, the students were able to understand better the difficulties faced by Wheatley and her subtle critique of slavery. The students also discussed the different ways that Wheatley and Equiano thought about community and forms of solidarity within the African Diaspora. When I discussed my class experiment and my initial frustration with a colleague, the colleague explained that one of her students had expressed surprise when none of the student’s other instructors made any mention of the Michael Brown killing and the unrest in Ferguson, Missouri. This particular student was from Ferguson and wanted some kind of gesture from her teachers that explained or validated the significance of the events in her hometown. Not thinking that the happenings in Ferguson had direct relevance to the classes that I was teaching at the time, I had only made passing reference to Michael Brown. I figured that students, on their own, would make connections between the historical patterns of racism that I was introducing in class and the contemporary events they were experiencing. It can be tricky to balance student expectations against course requirements. Yet, I have been reminded that for some undergraduates, the present can be useful for developing a conceptual map of the past, even if the past is the eighteenth century. I think the past should not and cannot be a place wherein we can always identify our experiences. However, I was further reminded that allowing students to tell me about how they see themselves in the present is useful in getting them to engage with the past and then to think in nuanced ways about historical change and continuity. Tenured Radical had an interesting post last week on some good questions to ask students in classes that deal with modern history and state violence against minority populations. Historians and other scholars whose subjects and classes aren’t so clearly connected to the modern U.S. can also foster useful conversations about current events with our students. We who teach and write anything but modern (post-1800) or even very recent (post-1900 or even post-World War II) history are too cautious about engaging our students about current events. Sesay’s experience here and his thoughtful reflections on his class will encourage me to seek out opportunities to connect the relatively distant past of early America to our world today. I first learned this lesson early in my teaching career at Baa Ram U., as my first semester there was fall 2001. I was teaching on a MWF schedule, and as some of you may recall, September 11, 2001 was a bluebird-sky, clear Tuesday morning. I didn’t venture back into the classroom until Wednesday, September 12, the day after the attacks on Washington, New York, and rural Pennsylvania. When I walked into the room, the students were somber and as eighteenth-century writers would say, “had a down look” about them, literally staring at the floor. I assumed that most of them were probably tired of talking about the previous day’s events because it must have been a constant topic in all of their Tuesday and Wednesday morning classes, and said as much as I announced that we would proceed with our scheduled discussion. I was immediately contradicted by my students, who said that for the most part, none of their classes had engaged the attacks on the U.S., global terrorism, or the place of the U.S. in the world, and they were looking for a place to talk about their feelings and to process the information they had been taking in over the previous twenty-four hours. I also think that it’s important for students to begin to imagine themselves as historical characters, that is NOT as historical re-enactors, but as individuals who, like everyone else, are caught in a historical moment, and whose lives and experiences will one day be read and understood in the context of their times. This helps bring the dead back to life as people who didn’t know how it was all going to turn out, and who had to make their decisions based on the best knowledge about their world they had at the time. While my class on September 12, 2001 wasn’t nearly as informative or as on-point as some of my colleagues’ classes on the modern middle East or the U.S. in the world, I think it offered a welcome and useful moment for reflection and for helping students process the images of shocking violence they had been subjected to dozens of times already. I’m sure Sesay’s students will bring to their African American intellectual history class and other classes an awakened sense of the power of both historical continuities and historical change as a result of the conversation he permitted in his class. Historiann, thank you for re-posting and for bringing me to your excellent blog site! Thanks Historiann, this post and the post by Chernoh Sesay jr, are fine examples of what it means to be a teacher. You are both committed to sharing the best traditions of humanism while helping students find their own way to navigate our historical moment. These are the best things that an education can offer. Here’s hoping, anyway. I’ve been thinking a great deal about how something like this would go in an online course environment. Would the students ask to use some class time to talk about Ferguson or Baltimore in that context? Would they know (or think they know) or trust the proffie enough to approach her or him about this? Would the professor feel open to permitting the students to try to manage or direct an online discussion like this? I’m not saying it’s impossible or that it would be useless to try–I just don’t know if or how it would work. I think there’s something about human contact that makes it easier for most of us to trust one another and to permit us to be generous about recognizing good intentions, even if the results are not perfect. I had a similar response to my classroom discussion on gender violence last fall. I taught MWF (at UVA), and the Rolling Stone article came out on a Wednesday. After seeing the response from students, faculty, and the administration on Thursday, I wanted to give students a chance to talk about it. My plan was to provide some concluding remarks about empathy, and the deep colonial legacies that continue to inform our world, to conclude and connect to our readings. The discussion ended up going in ways that I could not have anticipated, and I wasn’t sure if I was doing anyone any good. But so many of my students followed up by email and in office hours, even into the next semester, that it came to be one of the defining moments for our class. Many groups used it as an analytical point for their final (oral) exams. They picked themes like “oppression” and “inequality” and showed how Latin American authors in different historical moments, working with different genres, had negotiated those topics in a 400-year long colonial period. We have some amazing students here. I offered to have the same kind of conversation this semester after pseudo-police officers beat up a black student close to campus, but my class declined. I asked students in my grad seminar if they had talked about the officers’ attack on Martese Johnson with their undergrads, and none had brought it up in a way that really mattered. One was giving a quiz when student protestors walked by, and she asked her class if they’d like to talk about race or go back to the quiz. They all chose to finish taking the quiz that they had just crammed for. I tried to suggest that her intentions were good, but that if a serious conversation about race is one of her goals, then she needed to present the topic in a way that honored it. I did not point out that she may have made things worse, allowing students inclined to think in this way that race had yet again “disrupted” their education. After that first talk, I learned to appreciate the merits of what seemed to me to be a meandering conversation. It was interesting to see how differently my students responded to issues of gender and race. Alison–thanks for sharing your experiences. We’re told all the time now that education is being “disrupted,” and that that’s a good thing. If only the slingers of these buzzwords knew what real disruption is! I wonder about the students’ lack of interest in talking about Johnson is due to the fact that UVA is a historically white university. Maybe you should have insisted on having that conversation, and connecting it to the earlier conversation about sexual violence?